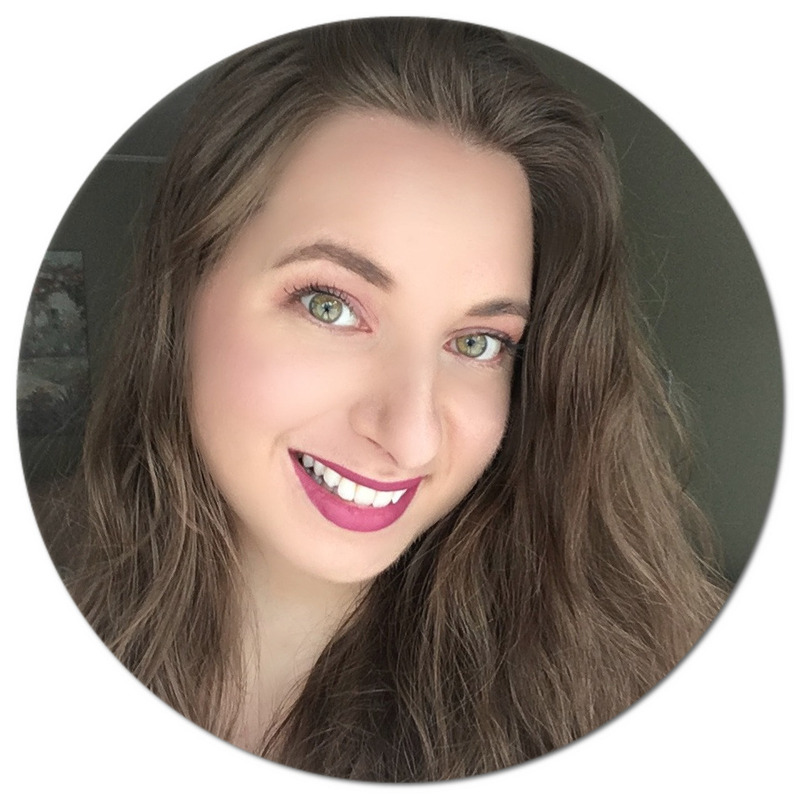 As a beauty enthusiast, I am always on the lookout for effective products that won't compromise my sensitive and blemish prone skin. While my skin is far from perfect, I notice how much 'happier' it is when I use high quality, plant-based products. 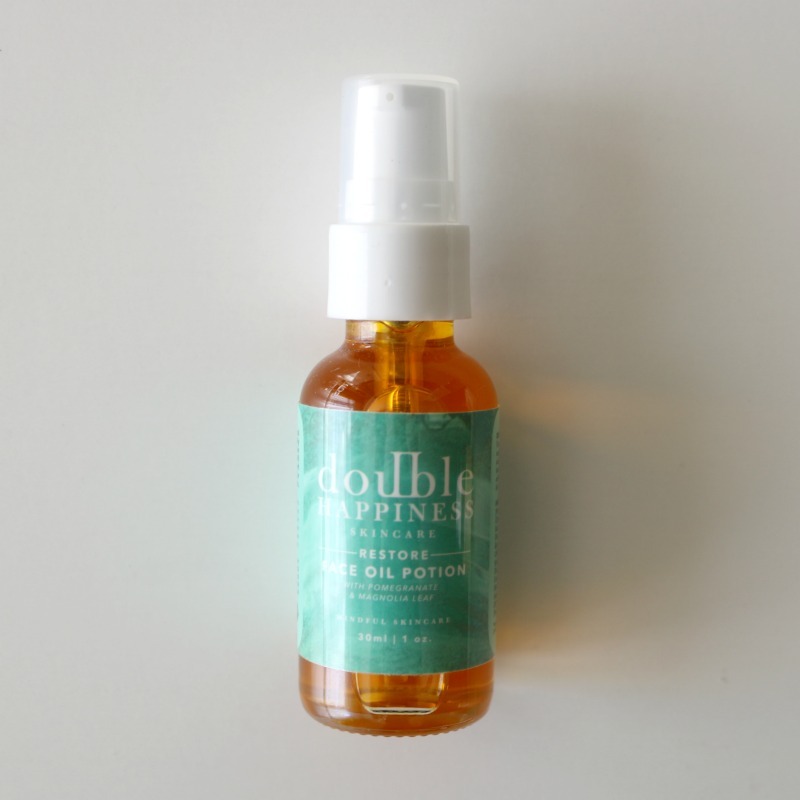 Cue Double Happiness Skincare, a line created by two female entrepreneurs from Toronto, Sonja and Young. While their professional roots are in marketing, they also developed a passion for essential oils and elixir making, and after years of research and experimentation, have launched their line of detoxifying skincare. Each product has been thoughtfully blended to reveal nature's healing properties without disturbing the skin's pH balance, with the use of sustainably harvested extracts. The line is vegan, cruelty-free, non-GMO and free of toxins such as parabens, sulfates and synthetic fragrances. Oil cleansing is something I can no longer do without, and the Restart Face Oil Cleanser* has been a welcome addition to my evening skincare routine. This rich blend will melt away any impurities from the day and leave the skin feeling incredibly soft and replenished. The main ingredient is pumpkin seed oil (something I personally love to add to my salad dressing! ), which is rich in omega 3 and 6 fatty acids and vitamin E. Other notable extracts include rice bran oil, evening primrose oil, rose flower and neroli flower oil, all packed with antioxidants which protect against the damaging effects of free radicals. To use, I simply wet my skin, and go in with two pumps of the cleanser, massaging it into my face, neck and décolleté. I then reach for a lukewarm washcloth to remove the product and prep my skin for the next step. I used to be really bad when it came to exfoliating (I would always neglect this important step!) and it's been a mission to find a product that won't cause instant irritation on my skin, but the Refine Face Exfoliator* makes me look forward to using it once or twice a week. 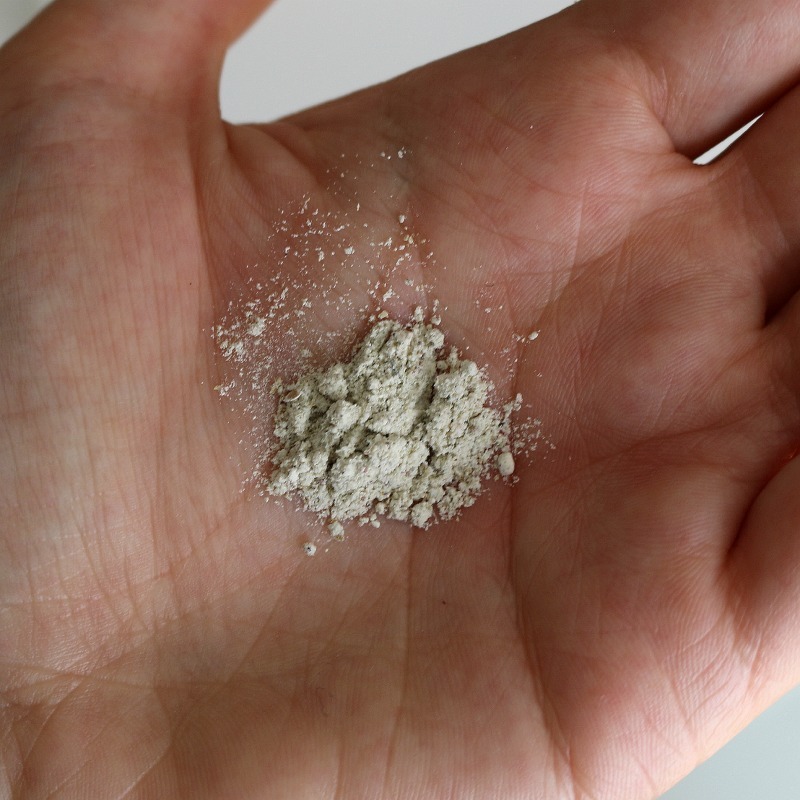 Suitable for all skin types, this powder is meant to be mixed with filtered water, thus forming a paste that has a gritty texture, without being abrasive on the skin. Give your skin a gentle massage using circular motions, and follow up with a good rinse. The white kaolin clay, oat and rice flours, flax meal, kelp powder and rose and lavender petals work to leave your skin feeling smooth and looking brighter. My day is not complete without spritzing some floral water on, and the Refresh Flower Shower Face Mist* is both pure serenity and an energy boost in a bottle. I reach for it morning, night and in between as a midday pick-me-up. This botanical blend contains rose hydrosol as well as rose flower oil, jasmine flower oil, neroli flower oil and sandalwood oil to lock in moisture after cleansing, and can even double as a makeup setting spray, leaving the skin dewy and colours looking more vibrant. As you can imagine, it smells absolutely divine - and I can never get enough of aromatherapy in my skincare. Last but not least, you will find a high quality moisturizer in the Restore Face Oil Potion*. This elixir is made from a blend of schizandra berry, magnolia leaf, pomegranate, sea buckthorn and rosehip, which not only rebalances the skin's natural moisture barrier but also speeds up scar healing and hyperpigmentation as well as helps diminish visible signs of aging. Simply pump a small amount into the palm of your hand and pat into the skin, taking in the lovely botanical scent. 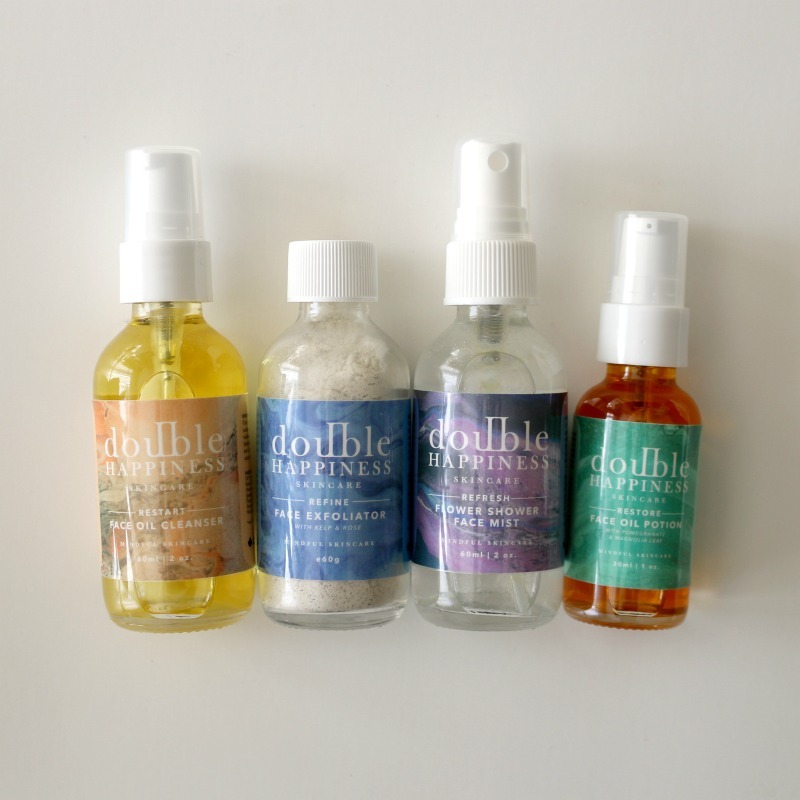 If you would like to experience the wonders of Double Happiness Skincare for yourself, you can purchase their products online and at select stockists. They also offer international shipping, yay! Are you mindful of ingredients you put on your skin? Wow, this sounds like an awesome line of skincare products. I would love to try out all of these - especially the face mist. I need a new skin care product. I have not been happy with what I've used in the past. I will definitely try this and excited to see what it does to my skin. 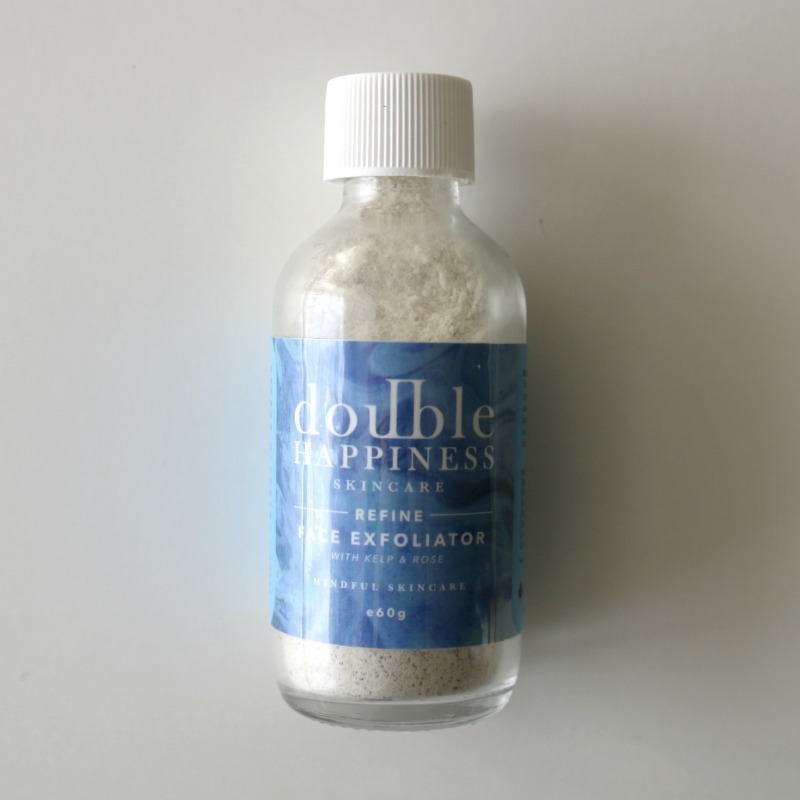 I've never heard of Double Happiness products before. Thanks for the introduction. I bet the Refresh Flower Shower Face Mist smells amazing. 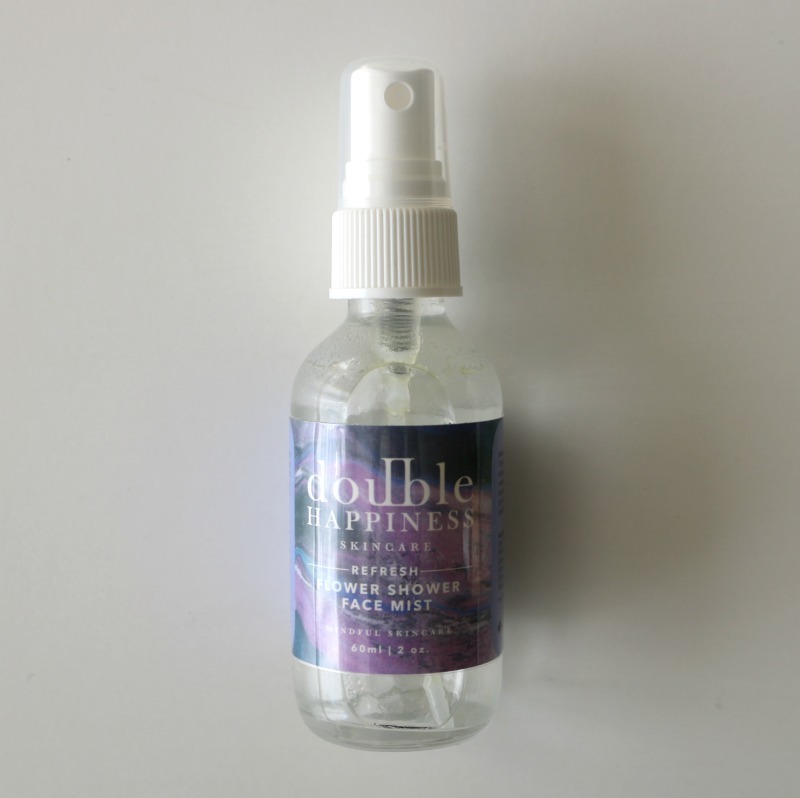 I have a rosewater-scented face mist which I love and it's really refreshing. i always love trying new skin care products and this looks good! Haven't heard of this new face care products. Always wonder how they come up with the different names for all the products. Double sound fun and interesting. The floral water mists sounds great for a hot day. A mist on my face sounds so refreshing. I would be willing to try these products out. I haven't heard of them before, but they sound great! I would LOVE to try these! Thank goodness they are cruelty-free and all natural! Essential oils have been a part of my life for decades and I am so happy they are finally becoming mainstream! I've started switching out a lot of my skincare products for ones that are all natural. I've really gotten into clay masks and essential oil blends made specifically for the face. My skin looks so much healthier now. I have super sensitive skin too, like crazy sensitive, so I will have to look into this product. I have yet to try any oils on my skin after a one time try - which caused major issues for me. These products sound really safe to use and the oils should be helpful. I'd definitely try them out! I’ve been using all 4 of Doublehappines skin care products for over a year now and had amazing results right from the outset. Any problem areas quickly clear up and caring for my skin this way has now become a part of my daily routine that I welcome and enjoy very much. I've never heard of this brand before, but their labeling is pretty. The look of that exfoliater sounds really interesting. Wow, pretty cool. My wife is into skincare, and I'm starting to get into it too. Might have to check these out. This collections sounds so awesome. I have very sensitive skin. I think I will check this brand out. Thanks for sharing. These skincare products look promising. Their blend of ingredients are mostly natural and good for the skin. Will check them out. I love using natural oils in my skincare routine. And yes, even with sensitive and blemish prone skin myself I never skip exfoliation, both face AND body. And some are definitely better than others. What an interesting skincare line! I need to check this out for myself, thanks for the awesome review! These products really look amazing. I would love to try these out. Thank you for sharing about them. These look really nice... I'm always looking for new skincare help, I have terrible skin and it's been even worse with the pregnancy. I want to try their Restore Face Oil Potion! I have never heard of this brand before. I have never heard of this skincare line. My daughter likes to try new things and I think this brand looks like a good choice. I am especially intrigued by the exfoliator. We would be so happy if you and your daughter did try it! Use code "HAPPYSKIN" at checkout for 10% off your first order plus we have a $5 flat shipping rate promo that's running until the end of October. Happy shopping! I have sensitive skin too and these products look like they wont agitate it. I will have to check this out since I love trying new brands out! I have severely sensitive skin - these definitely seem like they would be suitable for me. I will be checking them out for sure - do they offer sample sizes to purchase? I have been looking for something that will not irritate my sensitive skin and these look great! I need to look into getting some of these to try. I love using natural products. Thanks for your honest review. I'll tell my gf about these products. i love the sound of these products. i feel like they'd be really good for all skin types. These products sound so nice. I have been in the market for some new skin stuff too. I just love essential oils and natural skincare products. I have got to try the exfoliator. This sounds like a great skincare line. During the fall and winter, my skin gets so dry and I'm always looking for new brands to try. This stuff really is legit. I love using it. Thanks so much for the kind words Angela! We're so happy that you're loving it! These sounds really lovely. I have super sensitive skin and it's so hard to find products my skin likes. Oil cleansing is always good for skin.These products sound great.I'd love to use.. I would like to try The Exfoliator. It would be so nice to get rid of dull dead skin on my face using only natural ingredients. Thanks for letting me know about this product line. The Refresh Flower Shower Face Mist looks like I would use that a lot too. I worry a great deal about what I put in my body, but what I put on the outside matters just as much. These sound like lovely products that will make your skin feel incredible. I really want to try these products! I love the name too! I don't exfoliate as much as I should, so the 'Refine' face exfoliator is something that caught my eye. I haven't heard of this brand before, but I like the name of the line. I like the name and packaging of this products. It sounds like a product that actually works. I'm going to check it out. Thanks! I have been trying a lot of new beauty products lately and I would love to try these out, too. I love the simple packaging! 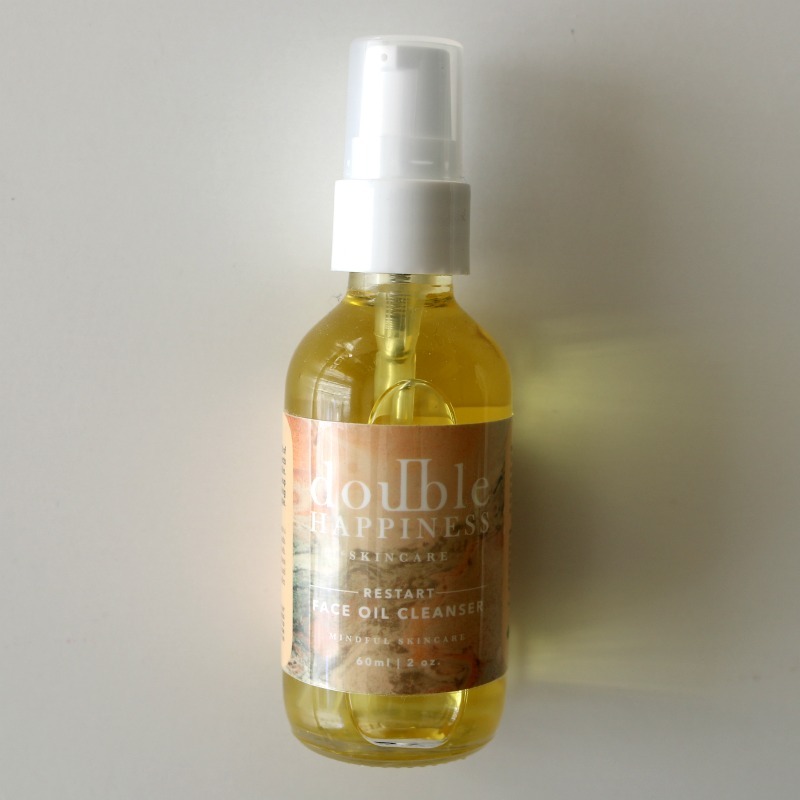 The Double Happiness Skincare sounds amazing. I would love to try these products because my skin needs a detoxifying. These products have no toxins in them which are harmful to the skin or our bodies. Thanks for sharing these awesome products. This is something that my wife and daughters would love. I will look into getting these for them for Christmas. I love discovering new beauty products! The exfoliator looks like something that would work really well with my regimen. THanks for sharing!